Margie Ahern, M.Ed. has been studying with Mindfulness Meditation Centers since 2007. She has attended innumerous weekend and 10-day retreats. Margie has found that a sense of humor and patience are of utmost importance in this ongoing process. 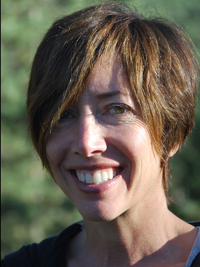 She currently enjoys teaching both members and non-members dharma in both the MMC Denver and Evergreen Sanghas. Margie is a participating therapist through the Institute for Advanced Study – Mindful Rational Living (MRL) http://beyond-therapy.com offering the 90-day program to individuals helping them to reduce and eliminate the destructive emotions; anger, anxiety, depression, guilt & shame. She is excited to have her training in meditation and mindfulness aligned with her counseling practice, Go Mindful Counseling, LLC. She is married with a young daughter. Family has offered her an amazing opportunity and challenge for putting practice into action. She has found it a joy to share the teachings with them. Margie has tremendous gratitude for Mindfulness Meditation Centers, its teachers and teachings.